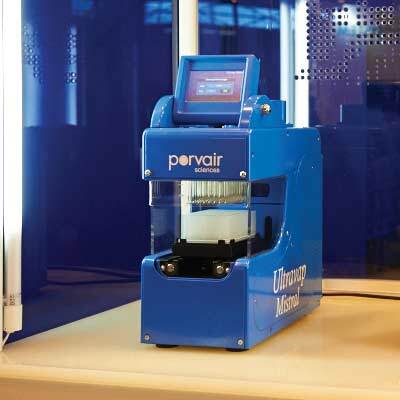 Porvair evaporators are designed to remove the traditional laboratory ‘bottleneck’ of solvent evaporation from microplates prior to analysis or reconstitution in storage buffer. 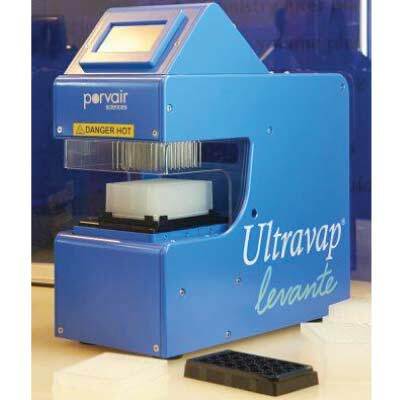 These evaporators give significant throughput advantages to laboratories looking to optimise microplate sample preparation productivity. 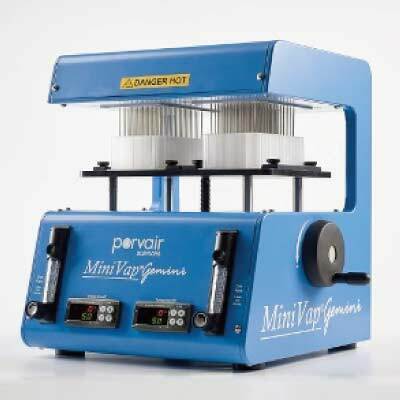 Faster than centrifugal evaporation, significant increases in sample throughput are achieved through advanced evaporator head technology and an innovative manifold design, which directly injects heated nitrogen into each individual well of the microplate simultaneously. 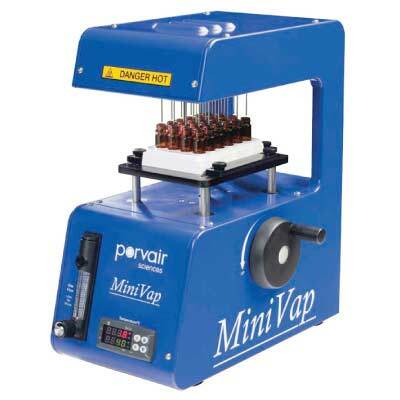 The evaporators have been designed to be simple to install, operate and maintain. Installation requires only connection to a gas supply or cylinder and mains electricity. Safety of operation is ensured as the CE marked compact units fit into all fume cupboards. Not suitable for high boiling solvents such as DMSO and water. 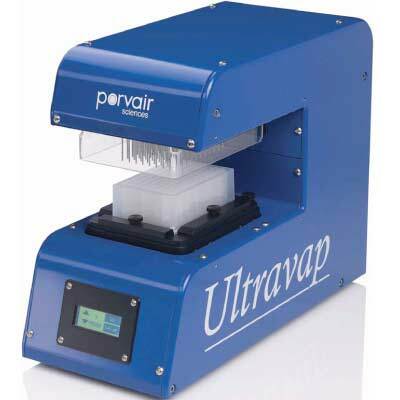 Both MiniVap and UltraVap may be operated with a supply of clean, dry compressed air in place of nitrogen, if the chemistry allows. An in-line gas filter must be used in this case.